This cartoon accompanied my latest op-ed, title above, which appeared in The Virginian-Pilot Wednesday. For the FEMA money that’s going to flow, it’s up to them on how they get it. I don’t think it’s the time to get into that [deficit] debate. Previous Post Opinion, please: should she resign? 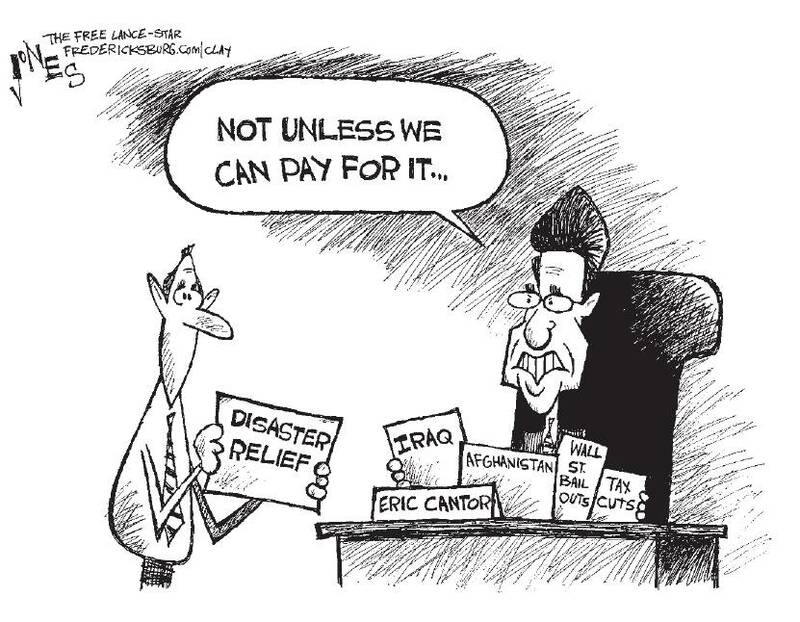 I sugest we cut all federal suport to Mr. cantor’s district in order to provide disaster funds. BTCM: Since I just moved into his district, I don’t like your idea;-) But I know where you’re coming from.